coool! watanuki looks great! but his xpression is so sad and lonely.. thanks for sharing! i love this cover ! watanuki look so sad ! Oh I love this cover! I was wondering how CLAMP was going to design their covers after Yuuko died. Watanuki's feelings do come right off this cover. CLAMP has certainly outdone themselves with this. I love how Yuuko is still on the cover and how lonely Watanuki is because he can't see her anymore. Quote by lylleveltOh I love this cover! I was wondering how CLAMP was going to design their covers after Yuuko died. 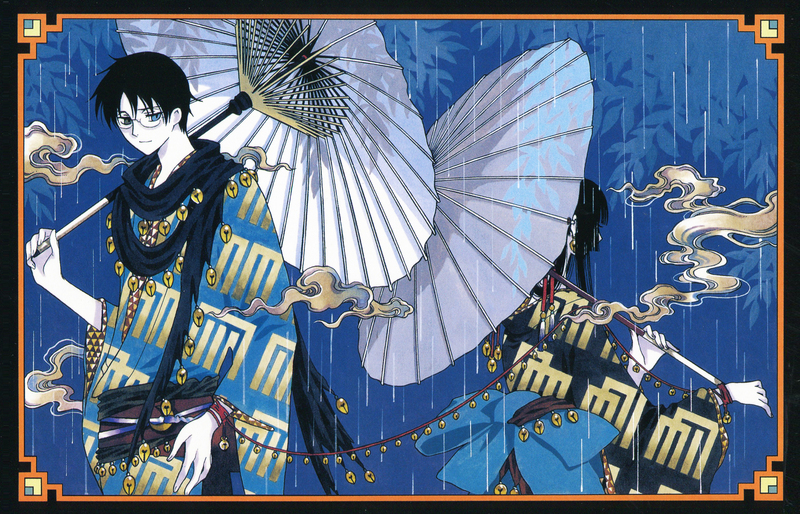 Watanuki's feelings do come right off this cover. CLAMP has certainly outdone themselves with this. I know right, I specially love how CLAMP covers Yuuko-san's face to make her disappearance have much more of an effect on Wata-chan and make it reflect on Wata-chan's lonely smile....*sigh.... I can only wait*.....Plus I absolutely love how they are tied by a Red string*the string of fate? * even tho' it's not not their pinky it's still cute! prolly one of the most dramatic cover CLAMP draw for their series.